Loan as a Source of EB-5 Investment Funds: Investors Get Creative | The Law Offices of Yuri Tsyganov, P.L. 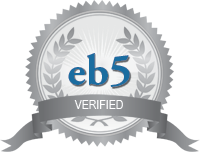 One of the most important aspects of the EB-5 visa application process is the sourcing of the investment funds. In other words, the investor must prove that the money invested was earned legally. Whether it is the sale of a property, inheritance, sale of stocks or any other securities, sale of precious metals, or perhaps money from a legal victory, or a gift: It is the job of the immigration attorney to make sure the USCIS adjudicator has a clear understanding of how, when, and where the money was made. Recently I have been noticing a shift towards the use of the loan structure as a way of investing in the EB-5 visa. Mainly clients from Russia and Africa are starting to turn to their financial institutions for a loan. According to the USCIS, the loan must be collateralized with personal assets in order to be accepted by immigration adjudicators. I have seen some Clients use their stock portfolio or a second home to guarantee repayment on the loan. Some even pledge their own funds, which are held at the bank which is issuing the loan, as loan collateral. Yes it is true that most financial institutions will charge an annual fee for such a services. But in most case it seems that such fees are only a small price to pay in comparison to the expenses associated with liquidating assets and or converting foreign currency in to U.S. dollars in order to make a qualifying EB-5 investment. After all, the U.S. dollar is still one of the strongest currencies in the world and not all EB-5 investors hold their assets in U.S. dollars. The way of the loan may be exactly what many potential investors have been searching for!